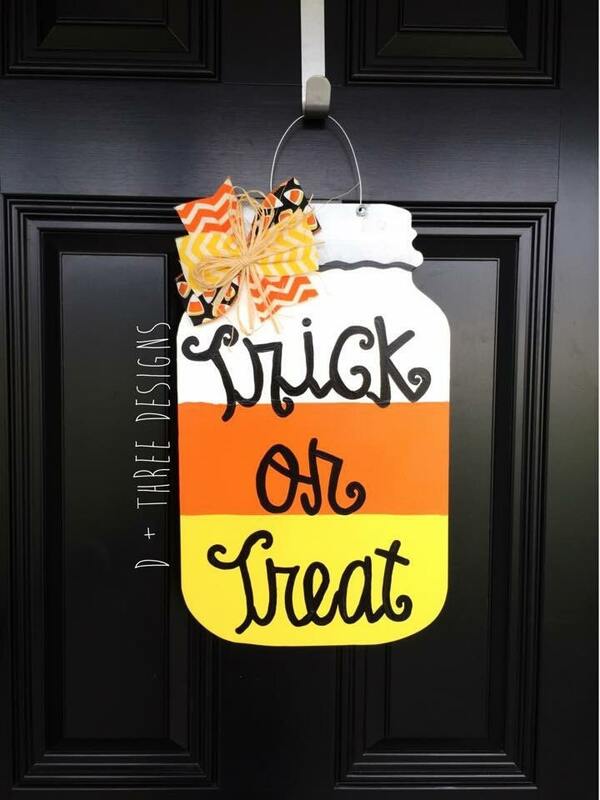 Check out this festive fall mason jar wooden door hanger. It is hand painted with three colors as the base: yellow, white, and orange. 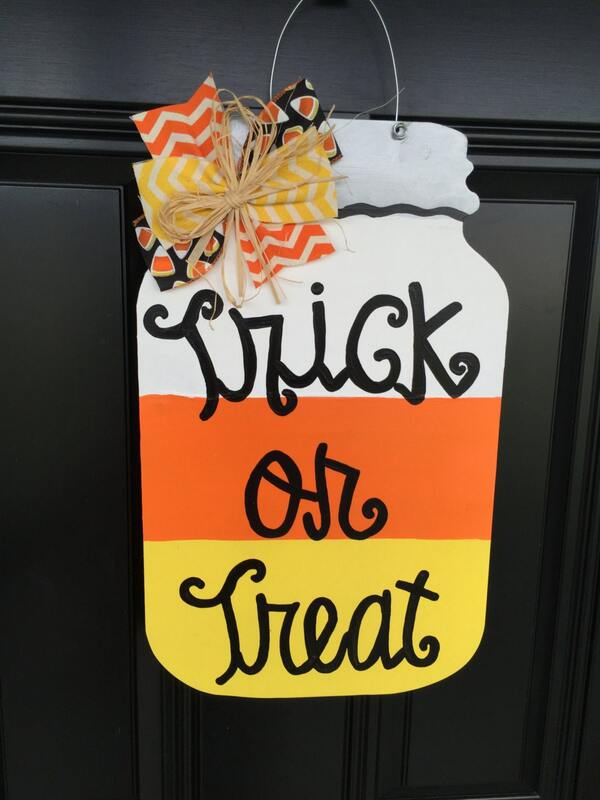 These give this door hanger a super fall feel because of the candy corn colors. It comes with the wording you would like along with a festive fall bow. This is the perfect piece for any wall or door. This is made on 1/2 birch wood, hand painted, and sealed. Please put the wording you would like in the "notes to seller" box.